The Royal Marines are elite Commandos – a highly trained, specialised force capable of operating anywhere in the world – on land, from the sea or from the air. We stand ready to deploy at a moment’s notice in support of UK military operations, or to carry out peacekeeping duties, provide disaster relief and help police the seas. We can carry out all these roles because we are a team of highly trained professionals. And if you have what it takes, you could be a part of that team. Life in the Royal Marines is much more than just a job. Join us, and you will go places and do things that most people only dream about. 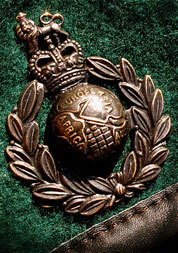 You will face some tough challenges along the way, which is why we are looking for the best - the fittest, most determined and most highly motivated people who have the necessary state of mind to train to earn the Royal Marines' coveted Green Beret.